A teen drama with K-pop theme to be produced in Japan. September. 13, 2018 07:51. bsism@donga.com. A drama with a K-pop theme will be produced for the first time in Japan, home of J-pop. It is the first time for a local drama, starred by Japanese actors and created by Japanese production staff, to be aired on local terrestrial network. 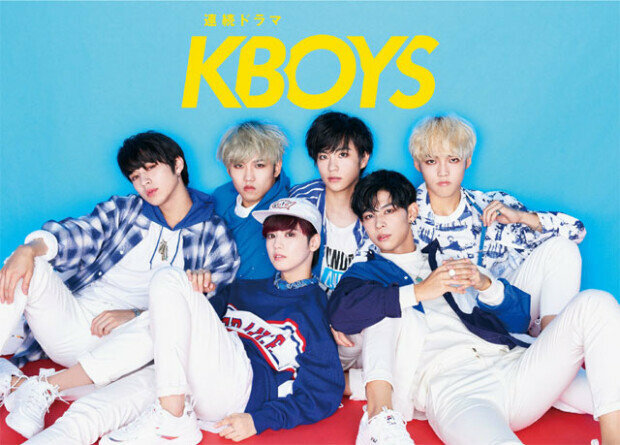 KBOYS, a late night drama, will go on air every Wednesday starting from October 10 by the ABCTV, a subsidiary of the Asahi Shimbun and terrestrial network that airs in Osaka and other Kansai regions. It is a story of six high school students aspiring to become K-pop idols. Even the film location has a Korean theme; it is filmed in Shin-Ōkubo, a well-known Korean town in Tokyo, Japan. A group of Japanese boys, who were taken aback by girls’ wild response over K-pop in Shin-Ōkubo, decide to take up the challenge of debuting on the K-pop scene. The drama is produced by Yukiko Mishima, well-known for her works including "A Stitch in Life." “K-pop singers are attractive because of their strong will to put together an outstanding performance and complementing each other,” said the director. "I thought that aspect itself captures youth, which led me to produce the drama." Actors will be young stars in their teens and twenties, such as Takara Sakamoto, who won the Best New Actress for her role in the movie "Rage" in 2016, and Yuu Sakuma. The Japanese media reports that the Korean wave is once again gaining local popularity. Once dimmed by anti-Korean sentiment, the fever for Korean pop culture is being reignited, led by TWICE, BTS and other Korean idol groups. BTS’ third official repackage album "Love Yourself: Answer" sold 189,500 copies within two weeks in Japan and topped the Oricon chart, though it was released in the original Korean version instead of a local version. All three single albums released by TWICE, who first debuted in Japan in October last year, topped the Oricon single chart.